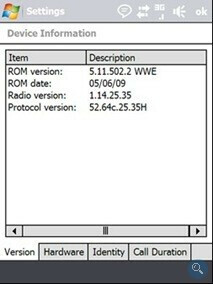 Earlier today, HTC posted a link on their web site that led to a ROM upgrade for the AT&T Fuze, the carrier's branded version of the Touch Pro. The upgrade included some additions like a 'Slide to answer' function, an FM radio app, a re-assignable PTT button, audible call waiting signal for speakerphone use, improved TouchFlo 3D performance, quicker fixing on your current position by the GPS, and the display of album art on the music player. The link was removed by HTC later in the day, perhaps because the manufacturer is still working on improvements. We would suggest that you check in by clicking on the link source every now and then to see if the update has been reinstated.